1.1 – “Services” means the E Newsletter Design service provided by the company to the client. 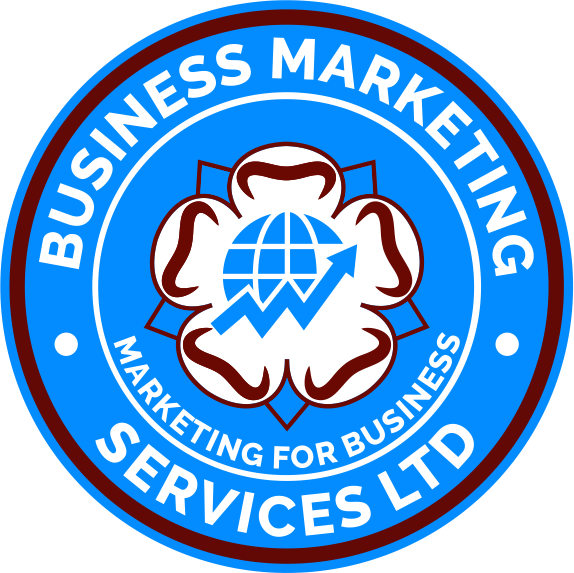 1.2 – The company is BMS DIRECT MAIL SERVICES a division of BMS MARKETING SERVICES LTD.
1.8 – “Webspace” means the area on the Server allocated by the company to the client for use by the client to host their website on the Internet. 2.APPLICATION OF THE E NEWSLETTER DESIGN TERMS AND CONDITIONS. 3.1 – The E Newsletter design project must be completed within 4 weeks of the signature date on this contract; it cannot be postponed or delayed unless otherwise agreed by the company in writing and attached hereto. 3.2 – If the E Newsletter design project runs over 4 weeks due to client fault, a charge of 15% of the original price quoted on the contract will be applied to the final invoice to cover schedule inconvenience. The contract will also be re-assessed and the client will be quoted appropriately. Any payment made before the re-assessment will be deducted from the final invoice. 3.3 – If any significant changes need to be made to the contract after signing the company is entitled to make any changes deemed fit to the quoted price. 4.1 – The full amount of the cost of the order is payable on signing here of. 4.2 – Where agreed with the company, payment may be made on account, under such circumstances the client is legally required to pay the full amount within 30 days from the date specified on the invoice provided on completion of the work. 4.3 – If any payment is not made on or before 30 days after the invoice date, the company is entitled to charge interest thereafter per day on the value owed at the rate of 4% P.A. above the current base rate of Barclays Bank plc. 4.4 – The client is not permitted to make any deductions from the final amount for any reason, any deductions will be at the discretion of the company. 5.1 – The client is liable for any copyright breaches on any content provided by the client to the company. 5.2 – All content that is the creation of the company is the property of the company subsequently the company retains the right to publish such work as his own. 5.3 – Any design work that is subsequently used after termination of the contract is a breach of copyright, for which the client can be held liable. 5.4 – The company retains no rights to any concepts or content provided by the client, subsequently the company does not retain the right to re-create, resell or distribute any business concepts, text content or images provided by the client. 6.1 – The company cannot be held responsible for delayed delivery on any work that is due to client fault, for instance: Delay in signing off proofs, delay in providing any content that has been specified as a requirement or any change in the content that has already been provided. The company also cannot be held responsible for any delays that are not solely the fault of the company. 6.2 – After signing this contract if the client needs to shorten or specify a deadline it is not guaranteed that the company will be able to meet the requirements. 6.3 – If the client wishes to shorten or specify a deadline the company is entitled to make any amendments deemed necessary to the quote provided. 7.1 – The client shall indemnify the company, keep the company indemnified and holds the company harmless from and against any breach by the client of these terms of business. 7.2 – Any claim brought against the client by a third party resulting from the provision of work by the company to the client and the client’s use of the work, without limitation, all claims, actions, proceedings, losses, liabilities, damages, costs, expenses, howsoever suffered or incurred by the client, the company shall not be held liable for. 8.1 – The company shall not be held liable for failing to perform to the contract for any reason that is not solely the fault of the company. 8.2 – In any event no claim shall be brought unless the client has notified the company of the claim within one year of it arising. 8.3 – The company shall not be held liable in any case for any damages, loss of anticipated profits, loss of revenue, contracts or any other inconsequential damages that arise from any cause associated with the company or the property of the company. 8.4 – All property supplied to the company by the client or on behalf of the client shall remain at the client’s risk, The client should insure accordingly. 8.5 – The company shall not be held liable for any leak of information or confidential material provided by the client, this includes, a leak or malpractice of any kind by a third party that the company has outsourced work to, domain loss due to hacking or as a result of hacking by a third party, password leaking due to theft or any circumstance that is not solely the fault of the company. 9.1 – Delivery will take the form of the E newsletter being hosted on the BMS Server, whereupon a link will be provided to clients to view. 10.1 – No refunds will be made for suspended services or on termination of an account in any case. 10.2 – If the client breaks any of these terms and conditions the company may suspend the services and/or terminate this agreement forthwith without notice to the client. 10.3 – If the client is a company and goes into insolvent liquidation, suffer the appointment of an administrator or administrative receiver or enter into a voluntary arrangement with creditors, the company shall be entitled to suspend the services and/or terminate this agreement forthwith without notice to the client. 10.4 – The company reserves the right to suspend services and/or terminate this agreement for any reason at any time. 10.5 – The client also reserves the right to cancel the services at any time. 10.6 – On termination of this agreement or suspension of the services the company shall be entitled immediately to block the client’s web space and to remove all data located on it. 10.7 – Upon termination of an account, the client’s use of the domain will be ceased, the domain will return to the control of the company. 11. – This agreement shall be governed by and construed in accordance with English law and the client hereby submits to the non-exclusive jurisdiction of the English courts. 12.1 – Nothing in this agreement shall confer, nor do the parties intend it to confer, any enforceable right on any third party and the Contracts (Rights of Third Parties) Act 1999 shall not apply. 12.2 – This Contract shall be governed by the Laws of England and the parties submit to the exclusive jurisdiction of the English Courts in relation to any dispute hereunder.